An abdominal aortic aneurysm (also AAA or triple A) is a bulging, weak spot in the wall of your descending aorta. This is the most common aortic condition. Approximately 15,000 people in the United States die each year from ruptured abdominal aortic aneurysm. It is the nation’s 10th leading cause of adult death. The aorta, the body’s largest artery, sends oxygenated blood to every organ in the body. It extends down from the heart through the chest (thoracic aorta) and into the abdomen (abdominal aorta). Abdominal Aortic Aneurysm: An abdominal aortic aneurysm is a bulging, weakened area in the wall of the abdominal aorta. Endovascular Repair: Endovascular repair is a type of treatment for an abdominal aortic aneurysm. After Open Abdominal Aortic Aneurysm Surgery: Knowing what to expect after abdominal aortic aneurysm surgery. 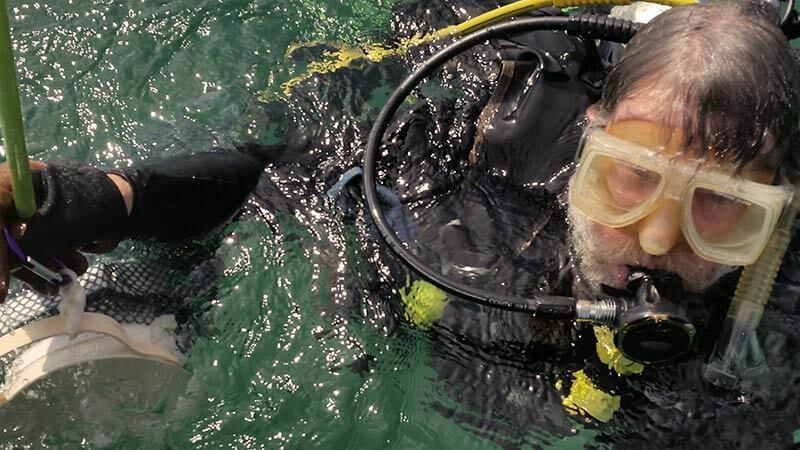 Phil gave up scuba because of heart problems, but heart surgery at Northwestern Medicine has made very day feel everyday again.